It’s summer in Palm Springs, which means plenty of pool time! We are so excited about these new floats by Minnidip, designed by Emily Vaca of the design house La Vaca. Both the innertube and beach ball are filled with large, loose metallic confetti that sparkles in the sun. The inner tube and beach ball, each in gold, rose gold and silver, are now available at the Palm Springs Style store (in The Shops at Thirteen Forty Five — 1345 N. Palm Canyon Drive, Palm Springs) and online here. 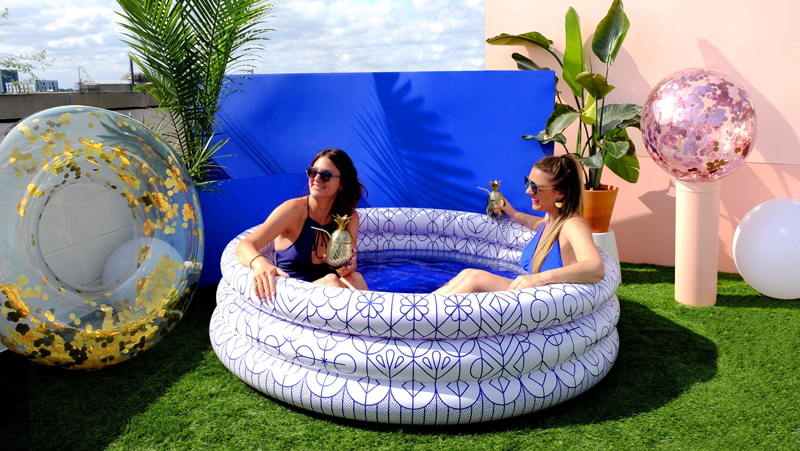 Get ready to amp up your pool style exponentially!